Wisdom is the basis of living of life. Wisdom is also the basis of spiritual life. It is also the basis of all action too. Hence every seeker should seek and acquire wisdom-knowledge. 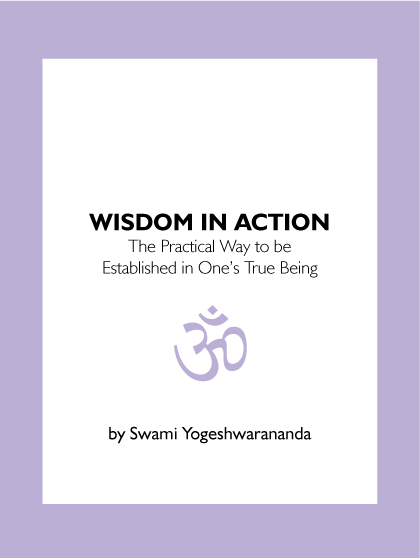 A source for this wisdom is the teachings of Lord Krishna in the Bhagavad Gita. In it, the goal of life is mentioned. The nature of being of the Divine is explicitly revealed. Nature is explained, what it is, and how it operates and how it functions. Also human nature and how it functions too is mentioned. The problem of human existence with its accompanying causes is well explained. Meditation and how to be established in one’s God-nature is practically revealed. The solution to the riddle of life, both in theory and practice is beautifully revealed in the ongoing dialogue teaching. The process of being so established is spiritual life. In religious parlance this is mentioned as being God established or living in God, with God Awareness. The whole process is to bring about a shift in awareness. From a human awareness to Self-Awareness. Self-Awareness is God-Awareness.